Good morning! Heather Hoffman here to share a card I made with this weeks Stamp of the Week - there are only 2 more days to sign up to get this stamp - a brand new one starts on Sunday! 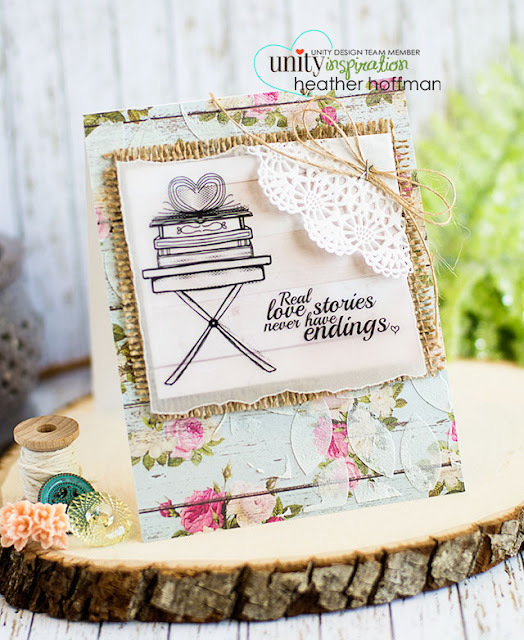 Here is this weeks Stamp of the Week - I thought it looked so pretty, soft, and romantic! I added some texture to my pattern paper by applying embossing paste with a stencil, then tucked some burlap, doily, jute twine, vellum, and staples on there for even more texture!